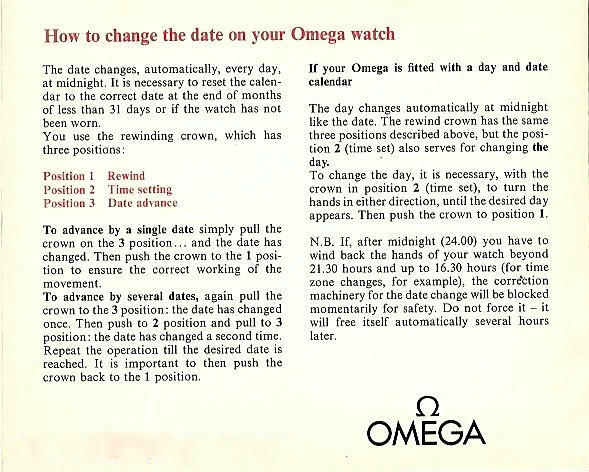 Genuine black dialed vintage Omega Constellations of the nineteen-fifties and sixties are decidedly uncommon: about as uncommon as the practice of good manners on public transport systems these days. The reason behind the scarcity of black dials is that the colour was not exactly de rigeur in those decades, being the preferred colour of Italian widows, men and women of the cloth, London city drones (known affectionately as the cigarette ash and dandruff brigade), and perhaps the odd Bohemian. Essentially, black was reserved for death, or living death as in the case of the clergy and London city drones. Moreover, it was the colour of choice for stiffly formal occasions, which, for many, were also closely aligned with the experience of living death. Pardon the pun, but there was something very dark about the colour black in the fifties and sixties, and so it’s little wonder that the preferred dial colours of the day were ivory or silver. 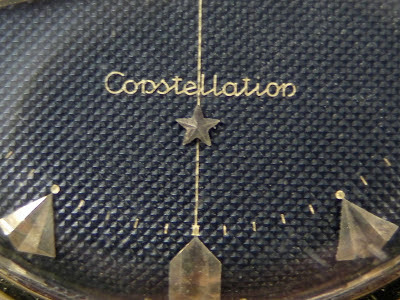 Fashions change and these days, fueled by collector interest in the rare or unusual, the emergence of black dialed calibre 352, 354 or 505 powered Constellations in top condition will trigger salivations of Pavlovian proportions. 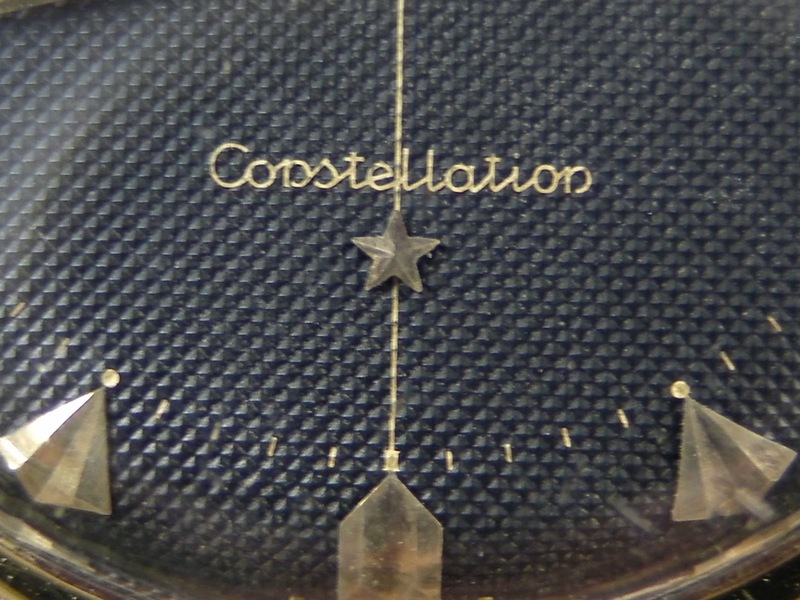 To mount a full assault on the salivary glands of a Constellation black dial aficionado, one would have offer a first year Constellation, model 2648, in a sharp 18 karat gold case, serial number in the 13 millions, with not only a black dial but a excellently preserved black guilloche dial. Then, we could be assured of such an outpouring of slobber that it would probably drown the family pet! Fortunately for family pets, this experience is not likely to occur very often. In the true spirit of Pavlov this photo-essay of an Omega Constellation 2648, 18k gold, black guilloche dial in the possession of collector Dan S of Switzerland is humbly offered. That's my kind of watch. Kudos to the owner - this is a truly rare piece. Yes it's a beauty Mike. The owner has an eye for the rarest of the early Connies and has some excellent examples in his collection.